Inventory management for small business owners can be an ongoing challenge. Your retail business needs plenty of inventory so that you’ll have goods available to sell to customers — you don’t want empty shelves, nor do you want to have to tell a customer that an item is out of stock. Having too much inventory, however, can be a disadvantage as well. First, all that inventory costs money, and if you have more than you need or more than you can sell, you may not be left with enough cash for other needs. In addition, customer preferences change, and if you stock up with too much of a particular item or type of item, the demand may change before you’re able to sell all of it. For most small businesses, storage space is also a hot commodity, and it can be difficult to figure out where to store or display extra inventory. For all these reasons, it’s crucial for retail business owners to figure out how to manage inventory. The most important step to inventory management for small business owners is closely tracking every item that comes in and goes out. Most experts recommend counting your inventory every quarter. Even though this task takes a lot of time and doesn’t yield any revenue, it’s essential: Businesses that don’t track inventory well are more susceptible to fraud or theft by employees, and they’re often tying up unnecessary amounts of cash in inventory and storage costs. 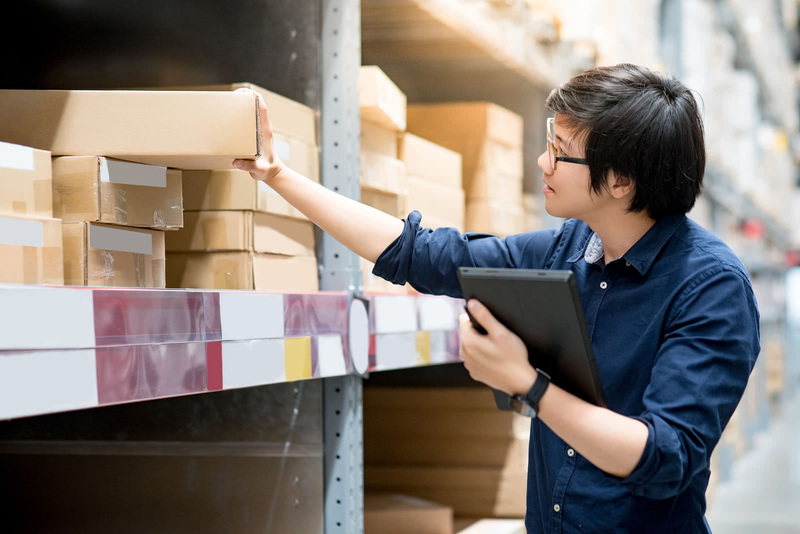 By regularly tracking inventory, you can zero in on the ideal number of goods and supplies to maintain, because you’ll see sales trends that fluctuate each quarter. Many software programs are now available to aid in this tracking process; look for one that has the features you need, such as an automatic restocking option or demand forecasting to help you determine how much inventory to purchase at different times of the year. When you understand how much inventory you need and it’s time to make those purchases, the next big decision is figuring out how to pay for that inventory. You can use cash to purchase inventory, with the understanding that you won’t be able to replace that cash until you’ve sold all the goods you’re purchasing, which could take months. In the meantime, your cash flow could suffer, making it difficult to pay bills, make payroll and otherwise invest in the business. Many business owners choose to finance their inventory purchases through inventory financing loans. With a direct business loan, you may be able to access the cash you need in just a few days, holding on to your cash and paying for the inventory as you sell it. Deciding how to manage inventory is crucial for the success of your retail business. When you find the sweet spot of the right amount of inventory with the right financing solution, your business will be better positioned for growth and for meeting customer needs.